Some open, some tight fairways, with rolling hills and scenic mountain views. 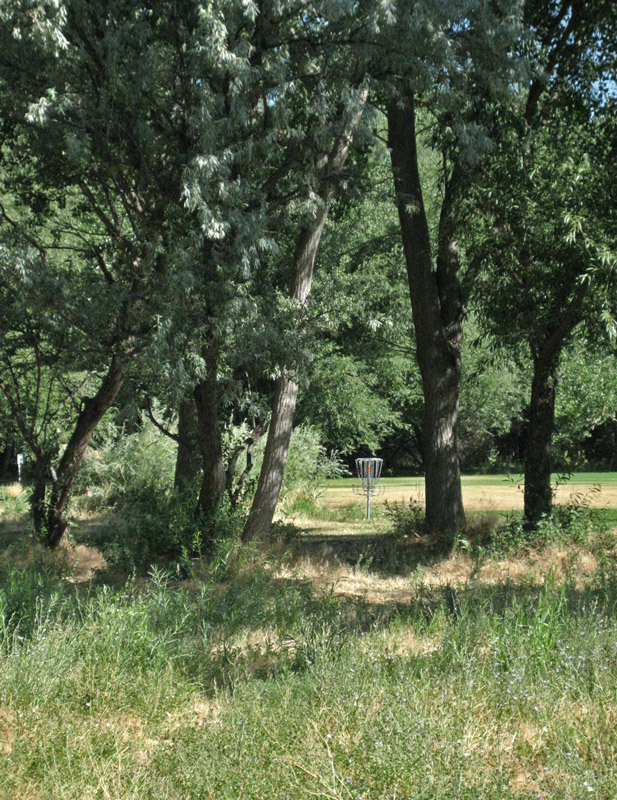 A creek alongside comes into play on 4 holes. Russian olive bush hazards, mature oaks, and cottonwoods. Well maintained grass fairways and multiple pin positions. 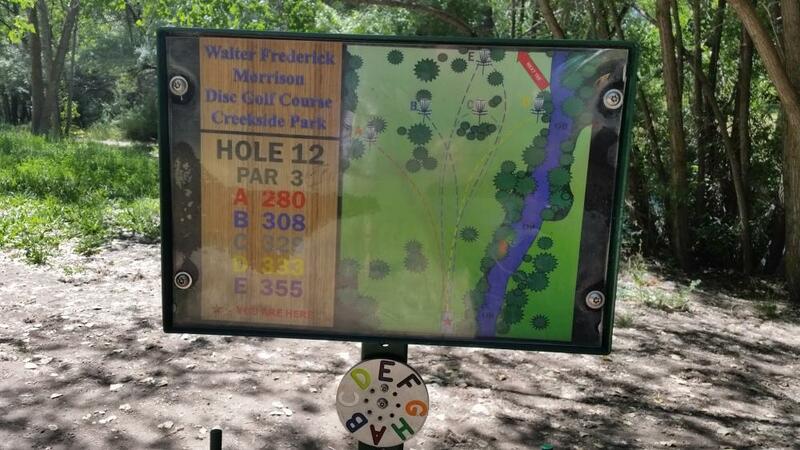 Look for dial to discern which pin location is current, the letter at 12 o'clock on the dial, directly under the tee box map. I-15 to 4500 S, east to 700 E, right to curve east turning into Van Winkle, follow past 900 east to 1st left, Murray Holladay Rd., 1 mile on course on right. 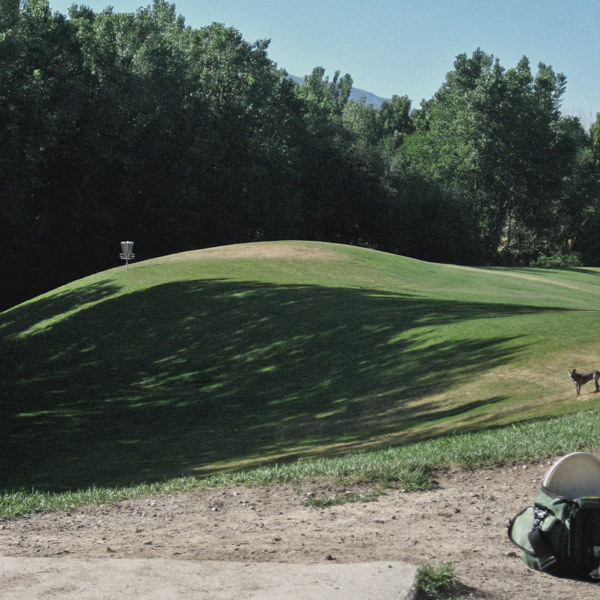 This is by far the BEST course in Salt Lake City!! 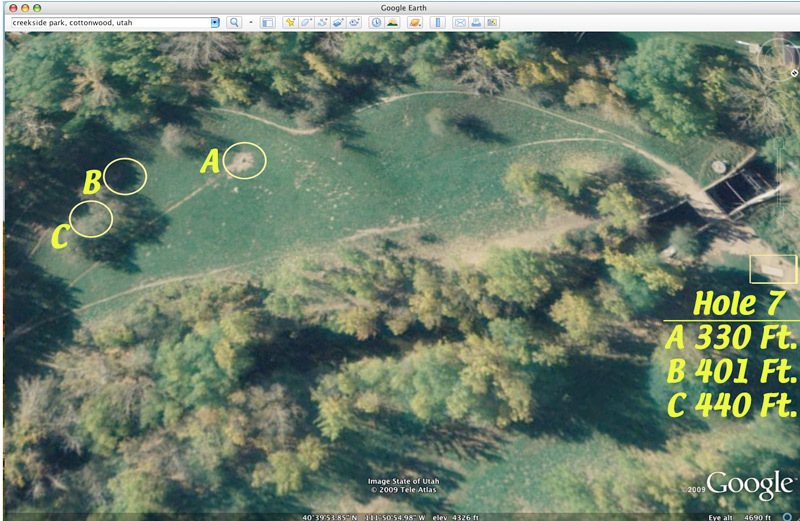 Very technical course with lots of trees, so you need to know how to play or its going tobe a rough day. 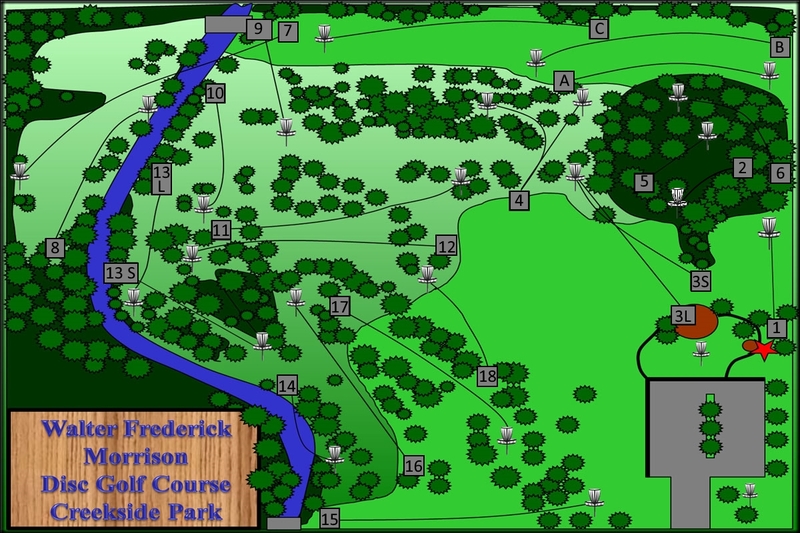 This course is well layed out and has multiple tee box's and basket places. I do recommend bringing some older disks for some of the tough over the water shots though...the river comes into play in a lot of the holes. Awesome Course, check it out. Fun course to play. Over water and through the woods. Can get congested but worth the wait. 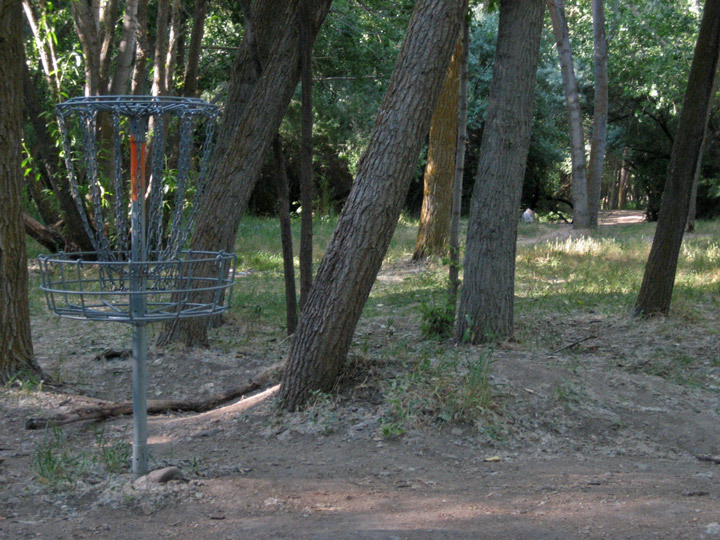 Salt Lake City's original disc golf course. A beautiful park with grass hills and big trees. 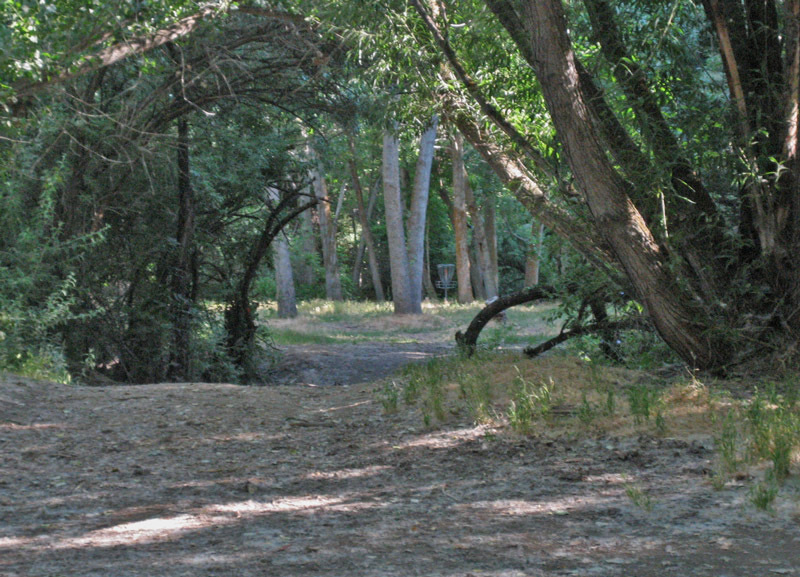 A creek runs along the back end of the wooded side of course, and comes into play on several holes. Not a very long course, but with multiple pin locations keeping play fresh, it's lots of fun! This is a great technical course. It has a lot of variation as there are up to 4 pin placements for each hole. Every time I go, I have a new game. 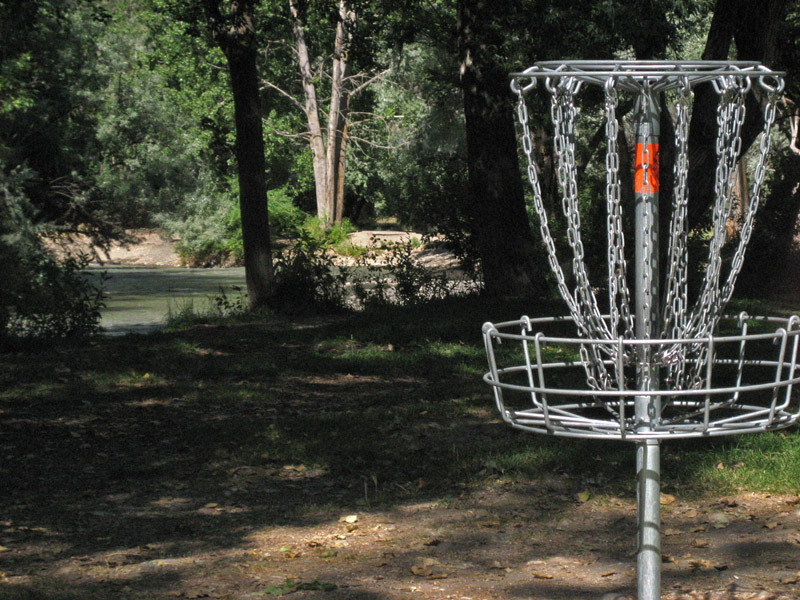 While there are not too many long-shots, the park setting is pleasant, and the majority of wholes require some level of skill to get par. This course is well marked and well maintained, but it is well used too. I've even gone at 6 in the morning and had to wait for holes. It is worth the wait though and all skill levels will enjoy this course.